Myths abound about ancient Greek democracy – actually, there was no such thing. That is, there was no such one thing. Even Athens, which invented both the thing and the name, had at least three versions over a span of about 150 years. But although the ancient Greeks have given the world ‘democracy’, ancient Greek democracy was in several crucial and fundamental respects very different indeed from, if not opposite to, what passes for ‘democracy’ today. 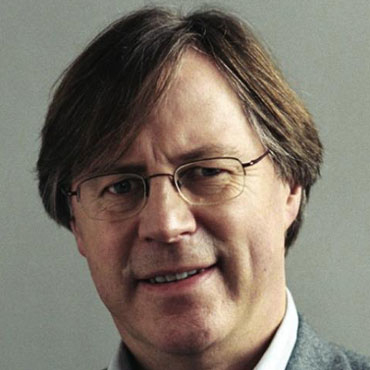 Professor Cartledge is a British ancient historian and academic. He holds a visiting Global Distinguished Professorship at New York University and sits on the European Advisory Board of Princeton University Press. What is the Bulgarian for ‘democracy’? The word – which came into English from French – is derived ultimately from an ancient Greek portmanteau word coined probably in Athens and became as ubiquitous in the ancient Greek world as it is today. BUT it could assume very different shades of meaning, then as now: see below for antiquity. Today, it almost always means indirect, representative democracy, usually republican. Contrast in antiquity: see below. When was Demokratia coined? Probably c. 475 BCE. In Aeschylus’s tragedy Suppliant Women (463 BCE?) a periphrasis is used ‘he kratousa kheir tou demou’, the controlling/decisive hand of the People, that implies the existence of the term demokratia, but this is not actually attested until the 420s (Herodotus’s Histories 6.131, but see below; ‘Old Oligarch’ Constitution of the Athenians, passim). More interesting perhaps: what was the Latin for ‘demokratia’? Much of our political vocabulary is ancient Greek-derived: politics (from polis, city-state, citizen-state), anarchy, aristocracy, dynasty, monarchy, oligarchy, plutocracy, tyranny … democracy. (From Latin come: citizens, constitution, empire, liberal, republic, state - and power and people.) But … WHY do we call our (‘liberal’, ‘Western’) representative systems ‘democracy’ when all ancient Greek systems were direct? (NB: there were several types/varieties of ancient demokratia: see Aristotle Politics, esp. Books 3-4.) To an ancient Greek democrat, all our systems would count as versions of ‘oligarchy’ (rule by the few): They (our elected representatives) rule instead of as well as for Us (even if – and because – they are elected by the many). The UK’s so-called ‘constitutional monarchy’ in association with a parliamentary democracy would count for the ancient Greeks as a ‘mixed constitution’ though that typically would have meant something quite different for them. There was no such thing as ‘ancient Greek democracy’. There were about 1000 separate Greek political states and communities (most were poleis, citizen-states, city-states): Cartledge Ancient Greece: A Very Short Introduction (Oxford & New York: OUP, 2011). Only a minority ever had any form of demokratia – most for most of the time were (more or less extreme/moderate) oligarchies. Athens is the best-known and most extreme of the democracies – but there was no such (one) thing as ‘Athenian democracy’: Athens had at least 3 different versions over a roughly 200-year period (508/7-322 BCE). M.H. Hansen The Athenian Democracy in the Age of Demosthenes (Bristol Classical P. 1999). Most known ancient Greek writers, historians and theorists were non- or even anti-democrats: e.g., Plato (rabidly hostile on socio-intellectual grounds – the majority of citizens being poor were also typically stupid, ill-educated, ignorant, fickle), and his star pupil Aristotle (much less hostile, however, because he tolerated any successfully stable constitutions and saw merit in the ‘wisdom of the crowd’). Both lived all or most of their adult lives in democratic Athens and founded schools there. Why (so) anti-democratic? The number of known ancient Greek writers, historians and theorists who were democrats of any sort, let alone radicals, can be counted on the fingers of one hand: Democritus (the atomist), Demosthenes and Pericles (practical Athenian politicians), Protagoras (itinerant intellectual from same city as Democritus: Abdera) …: see J.T. Roberts Athens on Trial. The antidemocratic tradition in Western thought (Princeton U.P., 1994). Earliest extant (Western, any) political theory is preserved in the so-called ‘Persian Debate’ in Book 3 chs 80-82 of the Histories (‘Enquiries’, ‘Researches’) of Herodotus (‘published’ c. 425 BCE). Most recent translation: by Tom Holland (Penguin 2013), with intro and notes by PC. H. was an eastern Greek from Halicarnassus (modern Bodrum, Turkey) who relocated at the end of his life to the new, democratic city of Thouria in S. Italy and spent key time in Athens. The dramatic date of this Debate is c. 522 BCE, but it is entirely fictional, quite un-historical! Of the 3 notionally Persian speakers, the first speaks up for something like what a Greek would understand as democracy BUT significantly he does not actually use the word demokratia, preferring isonomia ‘equality under the laws’, which he says has the ‘fairest of names’ and stands for/embodies i. selection of all officials by lot (election was considered oligarchic) ii. responsibility of all officials to the people iii. all major public political decisions taken by the people (all qualified citizens). These three qualities/ features in his view collectively distinguish isonomia from and above its two rivals. To an ancient Greek non- or anti-democrat, democracy was in effect mob-rule (ochlos = crowd, mob). The other two speakers in Herodotus’s Persian debate advocate respectively rule by a few (oligarchy disguised as aristocracy, the rule of the best) and rule by one, monarchy (in fact, non-responsible autocracy). All Greeks believed in – or paid lip-service to - equality (e.g., isonomia) but differed often radically and irreconcilably over who should count as relevantly, politically, equal. To a non- or anti-democrat, democracy was the world turned upside down: the poor (and therefore ignorant, stupid, fickle, uneducated) masses ruling over the rich, elite (and notionally smart) few. See M. Ostwald Oligarchia (Stuttgart: Steiner, 2000). Ancient Greek democrats were on principle radical egalitarians: one citizen = one vote, regardless of birth, wealth, beauty, strength, intelligence etc. Everyone should count for one, and no one for more than one – and votes were counted, sometimes but not always secretly, in mass jury-courts as well as in Assembly (though for selection of officials the lot was preferred at Athens, except for top military and financial posts). The Spartans, who were not democrats, voted - not by ballot nor by raising their hands, but - by shouting: no strict one man/one vote egalitarianism there (no lottery either nor popular jury courts). The democratic citizen, according to Aristotle’s definition, was he who had a share in passing legal judgment and holding office. The depreciation over time of demokratia (the word as well as the thing) in terms of the actual wielding of political power by the demos in the sense of the poor masses/majority of citizens in Greek Antiquity is palpable: i. there was hardly any genuine demokratia (people-power) anywhere in the Greek world after 300 BCE; ii. demokratia comes typically to mean ‘republic’, i.e. not-monarchy, freedom from direct rule by Greek autocrats or by Rome; iii. Rome (first Republic, then Empire) hated Greek-style radical/popular democracy; the Latin for demokratia was democratia…iv. the Byzantines who called themselves ‘Romans’ were ruled autocratically by divinely authorised monarchs, and by the 6th century CE demokratia could be used to mean ‘riot’, i.e. ‘mob- rule’ in depoliticised action. See G.E.M. de Ste. Croix The Class Struggle in the Ancient Greek World (London: Duckworth, 1981, corr. impression 1983). Two ‘lessons’ to be drawn from a comparison/contrast of ancient and modern democracy/democracies?